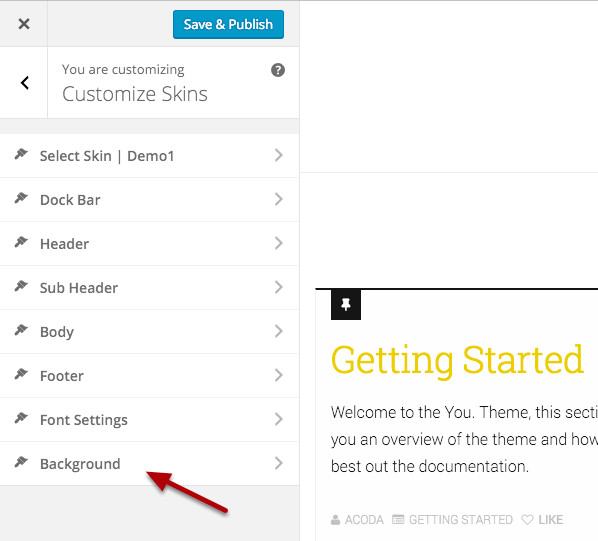 Learn how to set a Background Color or Image for the entire site. This setting is useful if you’re using the Boxed site layout. Use this option to set the Background Color.